Carte de la Grece en de L’Archipel 1834. 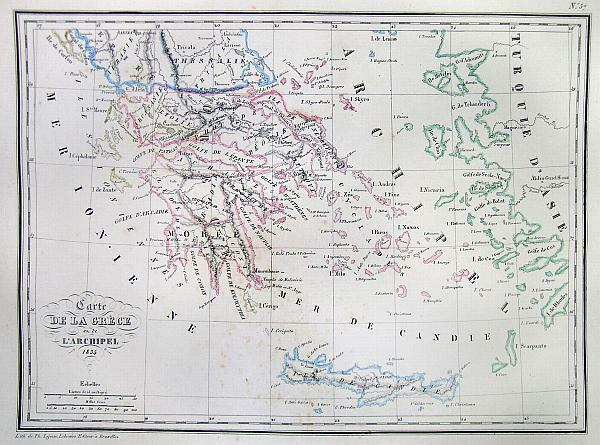 This is a beautiful 1834 hand colored map of Greece including very good detail of the Archipelago. Includes Crete or Candia. All text is in French. Fine or perfect condition. Wide margins. Blank on verso.